If you are working from home doing online jobs, like blogging tasks or jobs, then this article is for you. 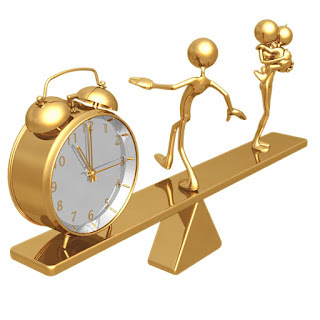 Below are few tips that I can give you on how to balance your life and online work as well. Working lots of hours in front of your computer is stressful and draining. Having few minutes break every 2 hours can really help. Use that break to walk around the house and get some fresh air. It helps to get the idea and creative thinking flowing. Set and properly manage your working hours. Always follow your own schedule specially that quitting time of yours. As much as possible, don't make it a habit to eat your meal at your working table. This helps you to quit work when it's already dinner (time to quit or shut down the computer) time. No, I am not talking about social networks like Facebook and Twitter. I am talking about the real life socializing. Get out of the house and socialize with friends and spend time with them over a cup of coffee (or beer/brandy). This can also release stress and tension brought to you by your online work. Having a place or corner to work with is a good thing for us bloggers or freelancers. A nice comfortable can increase productivity and cretive thinking. I am talking about a plce where you can work without interruption or something like that. It can be a corner of your room, a home office or anywhere you are comfortable with. This one is something to complement with the setting working hours tip above. Spending quality time with your family or kids away from your computer is a must for a healthy and balance life and work. After all, we are working hard for our family right? So why not schedule quality time with them. Working from home doing online job is a good thing for us right? It let us spent quality time with our family while making money for them. I hope you liked my above given tips. They might look or sound too basic or general for you, but for sure, it can greatly help you out as a work from home doing online job type of person. 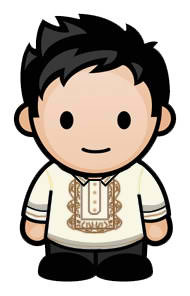 Ron Leyba is a Filipino blogger who manage an online video game tester job site. Check out his blog post about the Best Job For Video Gamers. true. if i stay too long on the computer all day, then i will go crazy. i need a break, once a day, to go out and breathe some fresh air, such as go work out at the gym for one or two hours. This is helpful. They are pretty basic but we often forget to do the basics. I don't even have a job yet and I'm already having time management issues. LOL. It is indeed hard sometimes to find time for other things especially if you have deadlines coming up. Most IT people forgot to social and focus their time on his laptop or computer. I guess its important to set times that you are really offline. With today's technology you can access your site from anywhere but I guess you have to detach at times from online community and blogging. I agree with everything you said. It is very important to set our working hours. Procrastination is a big problem for many bloggers...I should know anyway, because this used to be my problem...then I found that taking a short break every 90 minutes or so helped me stay on track and upped my productivity. =) And I agree with you, working from home is really enjoyable and keeps you close to people and things you love. Does anyone know of links to sites where I can get extra income in Bowie MD? Good. This helps you to quit work when it's already dinner time.